The treatment for opioid addiction can be a long one, but can be successful with the right support and program put into place for recovery. Treatment is on a case by case basis. Treatment involves medication, group counseling, individual counseling, and many other forms of support in the recovery process. The main form of medicated help from Methadone, at a stable/blockade dose will eliminate withdrawal symptoms and physicals cravings and allow the patient to focus on making the positive life changes necessary for recovery. Methadone is a longer acting opiate meaning it will be effective for 24-36 hours after ingestion. Methadone attaches to the opioid receptors in the brain, and in sufficient quantity, blocks the effects of other opioid not experience withdrawal symptoms, will not experience the high of opiates if they should use any opiates, will experience a decrease in the cravings associated with opiate use, and will be protected agents. At a stable/blockade dose (all opioid receptors in the brain are filled by Methadone) the opiate addict will not experience withdrawal symptoms, will not experience a decrease in cravings associated with opiate use, and will be protected from overdosing on opiates. If all receptors in the brain are filled with methadone, any other opiates will not have anywhere to attach to in the brain and will be flushed from the system therefore preventing an opiate overdose. This does not mean a patient is protected from overdosing on other types of drugs while on methadone. Methadone does not provide a euphoric rush as with other opiates. A patient on a stable/blockade dose is able to perform the duties of their job, drive, and participate in activities. A methadone patient at their optimal dose will not be “nodding off” due to methadone and will not experience a “high” from their dose. Buprenorphine is one of the three medications commonly used to treat opioid addict. The other two are methadone and naltrexone. Cost varies for the different medications. You may need to take this into account when considering your treatment options. The person who takes buprenorphine feels normal, not high. However, the brain thinks it is receiving the problem opioid, so withdrawal symptoms stay away. Buprenorphine also reduces craving. If cravings continue to be the problem, your doctor will adjust your medication or help you find other ways to reduce them. 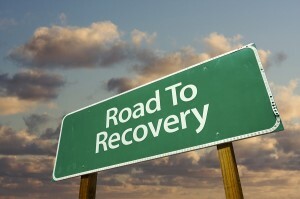 Contact us today to help you begin your recovery today.